What is PIPS? | Watts Up With That? PIPS is just a model. It isn’t an accurate representation of the ice. The Polar Ice Prediction System (PIPS 2.0) is the current U.S. Navy’s operational ice forecasting system. 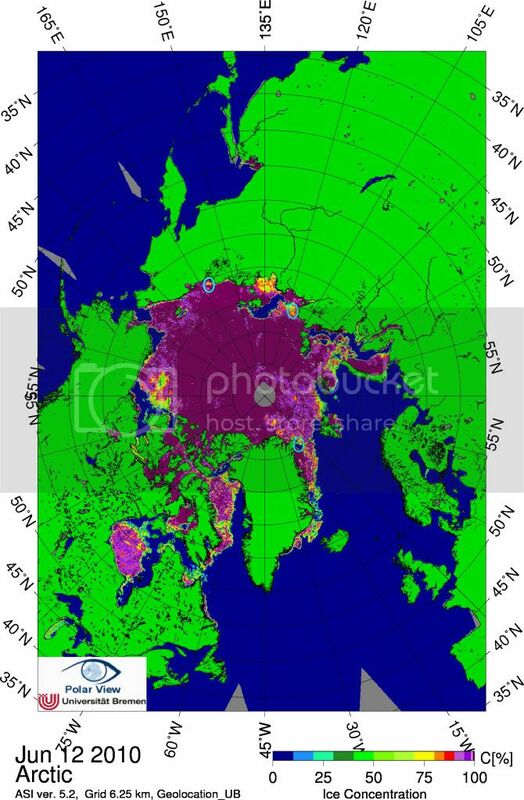 PIPS 2.0 forecasts ice conditions in the northern hemisphere with a horizontal grid resolution ranging from 17-33 km depending on the grid location. The system couples the Hibler ice model to the Cox ocean model and exchanges information by interfacing the top level of the ocean model with the ice model. Ice concentration fields derived from the Special Sensor Microwave/Imager (SSM/I) are assimilated into the PIPS 2.0 system along the ice edge. The system produces a 120-hour forecast of ice fields which are sent to the National Ice Center (NIC) to be used in their daily ice forecasts. The model-derived ice thickness field and the ocean surface temperature field are then adjusted to be consistent with the concentration data. These models are required to go through rigorous validation studies to prove their capability to produce accurate short term variability. Data assimilation plays a major role in the accuracy of these forecasts. Once operational, continuous quality control and evaluation of the products may be used to upgrade the system and improve forecast accuracy. The video below for June 10, 2010 shows that PIPS maps accurately reproduce current ice conditions. It overlays the UIUC ice concentration map on the PIPS map. As you can see, areas of open water are shown as open water, and areas of low concentration also have lower thicknesses. The incorrect claims repeated over and over and over again by FUDsters just don’t hold any water. A recent study by a group of scientists from the NIC and NOAA (Van Woert et al., 2001), showed that although the PIPS 2.0 forecasts (48-hour) were better than persistence on average, there were still substantial biases in its prediction of the growth and decay of sea ice in the marginal ice zone. PIPS 2.0 often over-pre- dicts the amount of ice in the Barents Sea and therefore often places the ice edge too far south. In contrast, PIPS 2.0 often under-predicts the ice extent in the Labrador Sea and Hudson Bay. This doesn’t affect my calculations, because I am only measuring regions which normally contain significant amounts of late summer ice. Also, my comparisons are relative year over year comparisons. The absolute values of ice thickness are not important to my conclusions. Conclusion : PIPS2 maps is the best available and are used by the US Navy. They are quite accurate and they do account for ice concentration. No doubt, some commentors will continue to ignore the facts, and post instead what suits their agenda. June 12, 2010 in Sea ice, Uncategorized. That pretty much fits the pattern. It doesn’t matter what data you find, the arm waivers will go to any extreme in an attempt to invalidate it. The only “valid” data are data that show warming. At this point I have not yet found anyone to produce data that shows that recent warming is in any way unique or even unusual yet they continue to tell school children that the planet needs to be “saved”. Does this mean they use continous update of the “model” from real life measurement, like e.g. using a kalman filter or similar? In that case I think I one could say they estimate the values between updates. Is this correct? That is totally different from the so called “climate models” which is supposed to run “Dead Reckoning” for decades int the future. If the Navy ‘gets by’ using this system, lives depend on it, and therefore it’s probably pretty good for practical applications. A sub can’t surface if the ice is too thick and even icebreakers must have limits. No doubt, some commentors will continue to ignore the facts, and post instead what suits their agenda. This should be a thread where those particular commentors will go on and on about PIOMAS. The PIOMAS graph is wrong. But from an earlier criticism, I understand that the PIP data was going to get washed out and only the (AGW-motivated) PIOMASS computer model was going to get funded. Is that true? It would mean there is no “second check” of ice mass – a critical argument (maybe the only argument left) supporting the politics of AGW hysteria. Yes, the Navy is relying upon it for ice forecasts, so it has value. Otherwise, we’d have yearly ship sinking and sub accident statistics to talk about. We do have the Canadians out rescuing would-be NW Passage afficiandos who aren’t paying attention to the real world. All despite repeated warnings that the disappearing Arctic Ice is hype. Bottom line: PIPS2.0, don’t leave home without it. I think in interesting that you quote Ms. Posey, who undoubtedly has a great knowledge of both PIPS 2.0 and 3.0, for she wrote the training manual on PIPS 3.0 back in 2007-2008, a link of which is given below. Do you honestly believe that the Navy is going to release it’s very best technology and sea ice prediction system on a public web page the requires Internet Explorer 4.0 at 800 by 600 resolution for viewing? Especially in light of the increasing military, economic, and strategic interest in the Arctic? It is true, I do not have the neatly (and I would say intentionally well packaged) statement like you have for PIPS 2.0, saying that PIPS 3.0 is now the standard used by the Navy. I only have the circumstantial evidence such as the statement by Ms. Posey in the link above, that leads me to believe that the Navy is using PIPS 3.0, but just not ready to released a down-scaled model yet on a nice little web page for public consumption. We’ve got to to believe that our military is smart enough to keep it’s best information private and classified. I think the procedure of using the PIPS 2.0 model information to compare sea ice thickness and change year to year is brilliant, I just think, that the data you’re using is not accurate (as shown for example by comparing it to the PIPS 3.0 data). I’ve actually emailed Ms. Posey to get some clarification on the status of PIPS 2.0 and 3.0, though I really didn’t expect to hear from her, as I’m sure she has some level of security clearance, and she probably couldn’t tell me much about the PIPS 3.0/CICE/HYCOM status as it has not been officially cleared for publilc consumption yet, though we know from the link I gave above, that NAVOCEANO is certainly using it on a daily basis, as stated by Ms. Posey herself. Since we can’t have access to the better PIPS 3.0 data, I choose to rely on PIOMAS over PIPS 2.0, as it also uses the CICE model like PIPS 3.0, and it’s a vast improvment over PIPS 2.0. PIOMAS has shown a great deal of volume continues to be lost from Arctic sea ice, and I think the rapid melt so far this year is tending to show that to be true. So as late as April of this year (or is that in fact June 4 instead of April 6? ), Pamela Posey of the US Navy Naval Research Lab confirms in public presentation at a scholarly conference that PIPS 2.0 is the “current” version. Gee, what happened to PIPS 3.0 that we were assured had superceded PIPS 2.0 years and years ago? Someone write to the producers of Deadliest Catch and have them ask the crab boat skippers what they think of the quality of ice forecasts and whether it seems to them if the arctic climate has changed over the decades. When you’re comparing the PIOMAS curve, which doesn’t throw data out, with the Cryosphere Today side-by-side images, which do throw data out, why do you choose to pick the one that trashes data? If the Navy ‘gets by’ using this system, lives depend on it, and therefore it’s probably pretty good for practical applications. When things were bad PIPs reported it so it’s good today as far as I’m concerned. I doubt any sub commander would rely on anything other than his own readings of the ice thickness above him before surfacing. Perhaps just go back to extent or area like the good old days so we don’t have this constant argument? 1. You do NOT use pips’ volume because they do not calculate it. – – Pips includes NO Thickness data, from Subs, ship, planes or satellites. As I have quoted before, the explanatory pdf says it is “initialized” with concentration. – – The Arctic’s AVERAGE THICKNESS is ASSUMED — from the previous year, less the usual AGW decline. >But all this is unimportant. Science has to Check with REALITY. http://psc.apl.washington.edu/ArcticSeaiceVolume/images/IceVolAnomaly19792010.MarNov2.png – – compares Piomas to Icesat. is Steve’s source (Thank you: Gniess) . >>>>> SIX ! ! ! (not to mention that Either this means the “Central Arctic” is a 1/10,000 th of the Arctic Ocean OR there more likely Posey has a typo — seems to be a mix: 1/10th the Basin, is the study area & Posey should have used 10E12 cubic meters ie, a thousand times more than his 10E9. Piomas has a 30% drop, 75% of the REAL LOSS. … Icesat’s coverage, over 2 months, is very comprehensive and actually measures THICKNESS. Pips is Concentration ONLY — giving RELATIVE thickness. It is for guiding Icebreakers to the thinner Ice. That it does well & updates almost daily whereas ICESAT would tell you TWO MONTHS LATE & Piomas updates at best 3-5 days – – & lately every other Update has to add 2 weeks because it drops off the chart & they have to reload a new one. Icebreaker’d be sunk by then: winds blow the ice here, there, on an almost Daily Basis. You forget what Pips is FOR . Moderator, please delate my duplicate posts!!! I don’t care what models or data are put forth. Predicting what the climate/weather future 10 years, or 100 years, out is going to be is patently ridiculous folly. There are far too many unknown events that could occur to even think about it. The entire edifice rests on statistical/probabilistic assumptions about an inherently chaotic, unpredictable reality. Might as well read chicken bones. I must admit I do not understand your acrimonious ending remark. The commenters’ corner is for all of us – readers of the weblog – and a place where we can exchange _any_ views, the wrong ones too, without being spit in the face. Your succinct post has explained a lot and what’s more, you put the info into kinda logical order. Hat tip to you for doing that, but the saber rattling at the end left a pinch of distaste. In my mouth at least. Altidore had a great opportunity for the US win, but hit it six inches too low. First goal England has ever scored in the World Cup against the US. First goal the US has scored against England outside of the US since 1950. Great match! Steve, do you know where I, and anybody else here, could get the scale values assigned to colors in these PIPS 2.0 gif files? I assume these are invariant over the many years of collected gif files as they all seem the same. Polar Ice Prediction System (PIPS): 2000–2008”). So, the bottom line is there is no accurate view of Arctic sea ice. Funny, that’s exactly what I’ve believed for a long time. I find it somewhat humorous that this argument continues as to which bad model is better. It’s also interesting that those who believe in piomas, even after its failures over the last two years, would spend so much time defending it. What could possibly be their motivation? Why should they care? If they are right, then Steve will be proven wrong in a couple of months. It’s already been proven several times over that Steve is not going to change his view. To me it reeks of desperation. So, why so desperate? I have been trying to have an intelligent discussion about the data, but the signal to noise level in the discussion forum of the last few articles has been spectacularly low. A few people seem to be intentionally and repeatedly disrupting the discussion with misinformation. Is this the answer you asked for? I’ve been following the discussions concerning PIPs 2.0 for some time now and I am increasingly amazed by the pronouncements made by certain contributors who appear to live under bridges of the rickety-rackety variety. Why on earth would the US Navy maintain up to date and provide access to 10 years of archives of PIPS 2.0 output if they had replaced it by PIPS 3.0. Now why, I wonder, would they go to all this trouble if they had a better system (V3.0) tucked away somewhere. Oh, I know – they are doing it to fool Al Qaeda’s arctic submarine martyrs! Software validation such as PIPS survived might be usefully applied to the climate models. Back in the days of the 10 MHz ‘286, I was a member of the ACM, and still have a couple huge binders of validated software routines. You don’t need validated, no-surprises routines to write a climate model, but when the models’ output is used to justify government action that will cripple world economies, it would be nice to have that checkbox ticked. The Heaviest Ice is on the Russian Coast — yeah, over 5 meters ! What a DISPROOF of Pips as being accurate on Thickness. It is from a Microwave Satelite’s data. Yopu just use it because picking a tiny section of the Arctic with an unusual method is the ONLY Contrary view ! Charles, you make an interesting point. The thickest ice this year is exactly where it disappeared in 2007. What do you thhink that bodes for 2010? Who claimed this? I’ve mentioned concentration a number of times, so maybe you’re referring to me — but I never said that PIPS maps don’t take account of concentration. They show a separate map just for ice concentration. What I asked was whether *you* took account of concentration, in calculating volume estimates from (apparently) the thickness map alone. Is the answer just No, your calculation did not include concentration? Or Yes, it was part of the equation? I keep hearing from some “commentators” here that the sea water absorbs so much more sun light than ice (possibly with a sheen of water at the surface). When I look into the sun with a maximum altilude of 23.5 degrees, I get blinded by the reflection from either water or ice. The sun is at a very shallow angle. So how much more short wave energy is actually absorber by the sea water over and above by ice at that very low angle. Can IR be assumed to be almost totally absorbed by both? Anyone knowledgable in optics? The only models that worth, according to the metric system are: 0.9 meters, 0.6 meters and 0.9 meters (this last size is hips´size). I’ve provided ample reasons why, and your own common sense should tell you. Do you put your best charts and maps of an increasingly strategic area up on the internet? I’ve also provided ample links to the PIPS 3.0 manual and Ms. Posey’s own statement that NAVOCEANO is using PIPS 3.0 on a daily basis. PIPS 3.0 and PIOMAS share a common model– CICE. It is the most refined and most developed sea ice model in the world and PIPS 2.0 can’t hold a candle to it. So, a Canadian site’s abstract, which seems to imply the Navy is moving to something new. And what do they mean by “Ice concentration fields… are assimilated… along the ice edge”? “better than persistence on average” – is really good? In the video there seems to be serious problem north of the Bering Strait and NE of Greenland. And NE of Banks Island, and where the Kara and Barents join. All the talk here and elsewhere about “PIPS must be good because the subs use it to surface…). uh, yeah. Well, it looks like they would be told not to surface anywhere near the pole. However, I bet they look at satellite images. And more than that, they use their upward-looking sonar to determine the ice thickness above (as the Skate did in 1959). They don’t determine whether to surface based on a large grid model of the ice. PIPS corrects their thicknesses for ice concentration. I don’t know how to explain it any clearer. Gosh Steve! Maybe we’re actually skeptics! Maybe we’re presenting other evidence, questioning the suppositions, asking if the facts can be verified, wondering about alternative hypothesis. You write as though you’re an insider, with a good-level security clearance. Perhaps you are. But the rest of us amateurs, with an equal disdain for rickety models and bought-and-paid-for ‘science’, must make do with what Is publicly available. Arguments to authority just don’t cut it with us. Unless you can publicly share that data, it’s unicorn milk and pixie dust. You say PIOMAS is wrong. Is PIPS 2 wrong as well in agreeing that that there has been quite a fall in ice volumes recently? Please note the PIPS data prior to 2002 is not directly comparable to later values. Anyone who believes in the PIOMAS data must necessarily also believe that we are headed for a huge meltdown this summer. There are consequences for adhering to a flawed belief system. Is there some sound reason why the ice around a few spots at the top of Russia (and Greenland) can’t be the thickest? Wayne, I simply quoted the same expert as Steve did (Ms. Pamela Posey) citing both the PIPS 3.0 manual that she wrote plus her statement about PIPS 3.0 being used every day at NAVOCEANO. An even broader question ought to occur to even the most skeptical of minds: Why would the Navy be using PIPS 3.0 at NAVOCEANO if PIPS 2.0 was accurate? The take away from all of this simply should be to question the accuracy of PIPS 2.0, especially when basing such statements as a 25% increase in Arctic sea ice volume since 2008 based on this suspect model data . Perhaps you need to consider the fact that the DoD has a lot of newer tech systems in development but are not ready for prime time due to serious flaws and errors in their behavior. Perhaps while the Navy is DEVELOPING PIPS 3.0, it has not yet been deemed to be ready for navigational use and they continue to rely on the MORE RELIABLE PIPS 2.0 until it is ready to supplant 2.0. So what you are saying is that University of Washington PIOMAS profs have access to super-accurate / super-secret spy ice data, and that their graphs showing a record negative anomaly are dead-on accurate. I’ll put you down then as forecasting a spectacular meltdown this summer. I think it would be better if you go to RealClimate and watch how they treat any commentor that doesn’t agree with their agenda. Then come back here and you’ll find quite a bit of patience and tolerance. And Steven Goddard is right, there are commentors who are ignoring everything when it comes to Arctic ice but the PIOMAS graph—and I mean everything! No matter how reputable the data is they are trying to find ways to make it look useless while they take a lone source, which a climate model at that, and call it the only valid source, literally, the only valid source. You must have noticed that in these Arctic ice threads? It’s also interesting that those who believe in piomas, even after its failures over the last two years, would spend so much time defending it. What could possibly be their motivation? Why should they care? That’s pretty telling, isn’t it, that they are defending it so much. The reason is is that the PIOMAS graph claims that Arctic ice continues to decrease since 2008. But real data shows it is increasing. They have nothing else left if PIOMAS is wrong. That’s why the gang’s all here trying to discredit Steven Goddard, to discredit Cryosphere Today, to discredit PIPS, and anyone and anything else that shows or says Arctic ice has increased since 2008. There are new commentors here from other blogs that are reading at those blogs about WUWT and Steven Goddard posting on Arctic ice and showing how the PIOMAS graph is wrong. So they’re here circling the wagons. “There are consequences for adhering to a flawed belief system.” Hmm, I’m tryin’ to figure out exactly where that’s goin’. Nope, Dr. Zhang and his associates simply use the most advanced sea ice model set in the world, know as CICE. The Navy combines it with the HYCOM product to get their PIPS 3.0 model, and Dr. Zhang uses it in a different way to get the PIOMAS model. Both models are far more advanced than PIPS 2.0 which does not use CICE. BTW, didn’t you want to take up my challange do your fancy little animation flippy thing going back and forth between the March 15, 2008 PIPS 3.0 and March 15, 2008 PIPS 2.0 just so everyone can get a nice direct appreciation for the differences? OMG, this one’s funny too! You are looking at the land surface north of the Greenland Ice Sheet. PIOMAS is showing an anomaly nearly 50% larger than this date in 2007. Everyone including Joe Bastardi is forecasting a warm summer for the Arctic. How could we not set a record minimum under those conditions? Please explain. Obviously that wasn’t done in this case! better estimate of thin ice than most other algorithms. Don’t you mean Steve Goddard who is ignoring everything but the PIPS model and continues to churn out his faulty calculations based on it and steadfastly ignores any suggestions to produce a calibration calculation to validate his method? The Steve Goddard who rubbishes the PIOMAS model which has actually been calibrated against the satellite measurements of thickness. Pamela Posey does, what they do is if they predict ice where none is observed they remove it, if they predict no ice where ice is observed they add some thin ice (0.3-0.6m). Other than that they do nothing. I’m surprised at this constant exchange about PIPS2.0. Steve, why don’t you take the years of ICESat thickness values and compare them with the PIPS2.0 values so you can either prove or disprove that PIPS2.0 gives an accurate representation of the interannual variability in the ice thickness (and the seasonal variability). We know the absolute values are wrong (PIPS2.0 shows too thick of ice), but at least compare the spatial, seasonal and interannual variation. At least the authors of PIOMASS did do that for a few years. I believe you can simply take Ron Kwoks published values and do your own comparison with PIPS2.0. Then we can finally move on to another topic of discussion. I think that PIOMAS is likely correct and, based in part on that, yes, I think that there will be low ice extent this year – either lowest or second lowest. If I am wrong then I will be happy to revise my opinion of PIOMAS. Both PIPS and PIOMAS are models. PIPS uses SSMI- derived ice extents (but not concentrations) to derive modelled maps of thickness and concentration, while PIOMAS in addition uses ice-thickness measurements where available. The agreement is pretty good between both models and the data, though PIOMAS performs a little better. Both models and data show large ice-volume losses for the last few years, with the models agreeing there has been no recovery after 2008. What are your reasons for believing otherwise? R.Gates: Up until today I reckoned you had a fair point about PIPS3.0, but your assertion (unproved statement of fact) that the Navy were using PIPS3.O, but weren’t telling us they were because it’s top secret is daft. They’ve told us they’re developing it, so even by the bureaucratic idiocies of the security service, with which I have some passing acquaintance, using it and pretending they don’t makes no sense. Then there’s your assertion that it shows considerably less ice extent/concentration/thickness than PIPS2.0. You’ve just explained to us that it’s a secret, a closely guarded pearl of intelligence in the fight against Arctic terrorism, yet you know of, or in detail, the information it’s providing. It doesn’t make sense, unless of course you are a navy insider, blogging away in at your desk in an underground naval intelligence establishment, telling the world your bosses have a new system for measuring ice in the Arctic and it’s not the real ice the navy are reporting, the real ice, is of such strategic importance to the US that they are putting out false data to fool…well who are they trying to fool? The Russkies? I doubt it they have a pretty good handle on the Arctic. The Chinese, well probably not as they’re too busy making everything and collecting the world’s entire money supply in vaults in Beijing. The EU? Well that’s the prototype for the world government many in the CAGW camp want, they’d have simply ordered a Boeing load of bureaucrats knowledgable in the intricacies of pig farming to provide a report and printed it by now. So from whom is this vital intelligence being guarded? And why? So PIOMAS model says the ice is getting thinner and PIPS v2 model says the ice is getting thicker? Satellite don’t give us any thickness data for the past couple of years? So do we have any other observations? This paper compared airbourne measurements in spring 2007 with measurements in spring 2009. They show that the ice has got a little thicker. For example “Modal thickness increased from 2.4 to 2.8 m at the North Pole” They say most of the increases are within the limits of “natural variations”. So this set observations suggest the ice has got thicker. Does anybody know of any other direct observations that might shed light on the situation? “My model is better than your model” is becoming a little bit boring. Another issue I have is that the publications around PIOMAS never actually acknowledge the existence of PIPS which proceeded it. It seems a natural thing to do to directly compare a new tool like PIOMAS with those that are already available. I haven’t read a PIOMAS paper that even acknowlkedges PIPS existence in the introductions or discussions. Thanks for the plots of the PIPS data through the latest 2010 information. The volume appears to be recovering from the 2007 area low and 2008 volume low. The 2010 level are greater than 2009. likely because of the increase in muli-year ice. The PIOMAS comparison chart is intersesting, comparing the November lows. If that indicates the PIPS volume method and PIOMAS volume methods are similar, I wonder why the more recent data for spring 2010 is so remarkably different. The PIPS method indicates a volume increase, the PIOMAS plots suggest a dramatic drop. And that plane survey paper indicated the ice was thicker this year that last year. That measured trend suggests the PIPS results fit with that piece of the puzzle. But that doen’t fit with that PIOMAS severe drop down for 2010. Hmmmm? My common sense tells me that if there is such a strategic advantage to using PIPS 3.0 over V2.0 then you wouldn’t then publish the User Manual which seems to contain an explanation of all the logic and substantial parts of the code and even debugging advice. Common sense tells me that you wouldn’t continue to publish forecasts based on an obsolete system if the people you were trying to mislead (by using data produced by an obsolete system) already knew that the system was obsolete. Common sense tells me there is something suspicious about the way nearly all references to PIPS 3.0 on internet searches are (with the exception of the User Manual) are many years old. I challenge your suggestion that you have provided “ample” links to the user manual and Ms Posey’s statement. The word you should have used was “repeated”. The existence of a user manual is irrelevant – I have written may user manuals in my life and the existence of one indicates no more than there is a plan to support a product in a wider arena than the development one. I see nothing more than a first draft unless you can show otherwise. Incidentally, when producing manual (and other documents) I have been known to use simulated/modified examples of output to suit the purposes of the document, so I would not assume that the illustration on P33 is necessarily genuine (neither do I claim that it isn’t). As for Ms Posey’s statement, I’m sure if I was developing a tool I would be using it as much as possible until I was happy that it was fully debugged and reliable. She actually says in the piece you quoted “will have completed its validation tests by mid-2009”. Now in the real world timescales slip and validations fail, so I would not be surprised if one or both have occurred which is why they are still using PIPS2.0 as the only “validated” model. Or is this all part of the web of deciet being woven by the US military to prevent their enemies knowing what their real predictions are for Arctic ice conditions? Seriously? First, I don’t follow Joe Bastardi and don’t know much about what specific variables he uses for his projections, but I doubt they are as sophisticated as PIOMAS. A warm summer alone (as many people, “warmists” and AGW skeptics alike have pointed out) was not enough in and of itself to give us the big melt of 2007, nor would it be the prime factor in 2010. Specifically, the heat coming into the Arctic Ocean from both the Atlantic and to a smaller extent, the Pacific, is a prime factor. On the Atlantic side, in 2007 we had a large amount of heat coming into the Arctic through the West Spitzbergen Current (WSC). We also then had a surge of warm water and wind coming in from the Pacific side. In short, the heat flux of the WSC is very critical to the conditioning and melting of the ice. In 2008 and 2009 the heat flux of the WSC fell from the level of 2007, and we saw the resultant very modest “recovery” in the sea ice minimum, though as one knowledgable poster has pointed out, the total March to September ice loss was greater in 2008 than in 2007 even if the summer low did not quite reach the extreme of 2007. In 2010, the WSC temps are heading back up once more, though not quite at the level of 2007 yet. PIOMAS’s projection of 4.7 million sq. km. and my own projection of 4.5 million sq. km. isn’t just based on the volume anomaly, but is also based on wind and currents and many other factors. PIOMAS lowered their own projection in their latest update to the 4.7 million mark from a previous 5.0 million, though I’ve been at 4.5 million since March. I’m not sure all the factors that PIOMAS is looking at either, and the heat flux of the WSC may or may not be one of them, but it is one of my biggies, as well as water temps and currents in the Bering Sea, total solar irradiance, GCR’s (as measured at the Moscow neutron monitor), air temps in the Arctic, the NOA and related AO index, cloud cover (especially number of days of stratus clouds), LW back-radiation, and of course air temps. So far I see nothing to change my projection of 4.5 million sq. km using all the factors mentioned above. So in short, the volume anomaly in and of itself is not the only factor to be considered. Thanks for the spelling correction, and for the deletion requested to an earlier post. My thanks for your collective efforts over the months and years – it’s much appreciated. By Ms. Posey’s own admission, NAVOCEANO has been using PIPS 3.0 on a daily basis. We can only speculate as to why it is not released yet for public consumption or now is the publicly aknowledged standard. The links I gave showed one example of the differences between PIPS 3.0 and 2.0, but even that difference, as great as it was, had probably been down-scaled from the full resolution version– we know it specifically said “Unclassifed”. It is common practice in the military to release research and public versions of products that are much higher quality (GPS is a good example). Perhaps the failure of IceSat last October has delayed the full official validation of PIPS 3.0, and they’re waiting for CryoSat 2 data for further validation and testing (we know PIOMAS is). Or perhpas they’ve not completed a down-scaled version of PIPS 3.0 yet to release for research and for the general public. There are any number of reasons why, but regardless, and I’m quite confident, especially based on Ms. Posey’s statements of PIPS 3.0 being used, that for its daily operations, the Navy is using a much better version and more robust and more sophisticated sea ice model than the publicly released PIPS 2.0 that requires Internet Explorer 4.0 at a screen res of 800 by 600. Again, anyone who believes that the PIOMAS large record anomaly is real, must also believe that we are headed for a substantial record minimum this summer. All of the top experts are forecasting a hot summer in the Arctic. Also, the current extent is lowest on record for the date. Record thin ice, low extent and hot temperatures has got to mean a record low ice extent. Right? If people really believe in PIOMAS, they should be expecting a huge melt this summer. For those of us who line in NW Europe, the thought of an advancing Arctic Ocean ice cap is a scary one, as it means the Gulf Stream and/or the Atlantic Ocean Conveyor is weakening. This would threaten us with a Labrador or Kamchatka type of climate. As for PIPS 2.0 or 3.0 – there must be someone in the tens of thousands who daily access this website, who can tell us if PIPS 3.0 is actually in use or is still in the development stage. No matter how much I bang my head against a wall, I cannot figure out why forecasts of Arctic ice thicknesses could be of such strategic military importance and therefore why PIPS 3.0 – if it is completed and in use – would not be made accessible to the general public by the US Navy. However, September will tell us everything – but I would anticipate the Arctic Ocean in September next year will have much more ice than September 2010. By that time, the latest El Nino influence should have completely disappeared. In closing, a flip through the alarmist websites shows these guys are having a field day over PIPS 2.0 versus PIPS 3.0 – if it exists. Why is it that alarmist websites have to be so abusive? Or alternatively the new system is fine for research use but isn’t capable of fast enough operation to provide forecasts? Posey addresses this in the paper (2002) cited by Steve. used for forecasting face a different set of requirements. in ice concentration, ice edge location and ice motion. Steve, I actually disagree with your statement. Record low ice volume does not necessarily mean a record low sea ice extent, though I would say it likely means continuation of low extents. This is because like many scientists have been saying (even one who has posted on here) the summer weather patterns are very important. Sure, warm temperatures will help, but what about the winds? Those are also very important as we saw in 2007. So since we can’t predict the weather, seems false to claim that those who believe the PIOMAS estimates are more accurate than PIPS2.0 also believe a new record minimum will be set this year. Why not do the comparison I suggested? Seems that would help clear up this model vs model discussion. Feel free to do whatever comparison you want. I’m not the one questioning the PIPS data. However, the PIOMAS graph shows a huge negative anomaly, 50% greater than this date in 2007. NSIDC says that May saw a record decline and we are at a record low extent anomaly. People who trust PIOMAS have to be willing to back the logical consequences of their belief system. Let them have their fun for now. September is not very far off, and we will see if the super-secret PIPS3 database has the hidden secrets they believe in. The PIOMAS graph is obviously wrong. Aren’t you a professor Phil? Shouldn’t you already see PIOMAS is wrong? Or are you a different Phil and not the professor? Or, if you are that Phil, is your work as a professor connected to ‘global warming’ and that explains why you would not yourself show the clear flaw of the PIOMAS graph? It seems (IMO) the real topic here, the subtext, is Arctic ice has increased since 2008 and that is obvious from the data but the PIOMAS graph says Arctic ice has decreased since 2008. It’s easy to see from looking at graphs and images there has been an increase in North Pole ice since 2008. It is a bit bizarre that anyone would continue to promote the PIOMAS graph. I don’t think discussion on Arctic ice is going away any time soon. Especially not until the middle of September when Arctic ice begins its yearly increase and we all see, again, how wrong PIOMAS is. What you are saying is obvious. But I see some doing a tap dance around the obvious. That could be why they are pushing the PIOMAS graph, because they want to convince people the ‘death spiral’ is really happening. From reading the comments of some the real data is not mattering to them now. Even if the PIOMAS graph is shown to be absolutely wrong by the DATA in September these same people will still probably not care what the data is showing, will still believe the PIOMAS graph, and will find some way to rationalize their belief. So apparently suggesting a validation step for his calculation is ” disrupting the discussion with misinformation”. Each van carries one pixel of data, and the final van carries the code key that puts all the pixels in the right order. This not only helps to keep PIPS 3.0 secret, but also keeps General Motors happy as there are tens of thousands of vans involved in this secret plan with the Presidential directive that it must involve both American made pixels and American made vans. September will not tell us everything, unfortunately. We’ll know the general condition of the ice was going into the melt season, we’ll know what the summer melt season (i.e. the Arctic Weather of summer 2010) was like, and that’s about it. It’s funny that Steve now is telling us all what the PIOMAS model MUST be predicting, i.e. a record summer low, when the actual creators of that model, and those who know it best I would presume, are telling us 4.7 million sq. km., which is lower than last year, but not as low as 2007. PIPS 3.0 site. Note how the pages have Last Modified dates in 2003. PIPS 2.0 site, which confirms 2.0 “…is the operational model run by the Naval Oceanographic Office (NAVO) for sea ice forecasting.” There is found a pop-up window link to “Info on the future PIPS 3.0”, “The PIPS 3.0 is presently going through its final development.” Note: As previously mentioned, within the HTML code of the pop-up there’s a commented-out part, “–and will begin its adaptation for operational use in 2003 with a scheduled transition into operational use in early 2004.” This looks like an old edit. As seen at the 3.0 site, work was done in 2003, perhaps then it did look like it’d be deployed in 2004. The form of edit preserves the original content. There is a released unclassified users manual for 3.0. R. Gates previously provided a link to a purchasable copy from a private reseller of unclassified U.S. federal government reports. Later he provided a link to a free downloadable copy. As clearly stated on the first page of the November 5, 2008 manual, “Approved for public release; distribution is unlimited.” Yes, this is a freely-available manual from off a military server (dot mil) for software that allegedly produces classified data whose existence is hidden outside the US military. No mention is made of 3.0 being deployed. R. Gates provided a link to an unclassified pdf file. Examining the document properties reveals it was originally a MS PowerPoint presentation, has File Created and Modified dates (presumably when converted to pdf) of “Mon 12 Dec 2005 10:40:57 AM EST.” Within you’ll find an outlook on works-in-progress, as evidenced by wording on pages 15, 28, 31 and others, which could date the original presentation to 2005 or perhaps as old as 2004. Page 33 has a chart that show the first version of 3.0 (G-NCOM) was to have completed Development and Transition in 2005, then in 2006 it would replace 2.0. The second version of 3.0 (G-HYCOM) was to have D&T in 2008, then both versions would be running in 2009, with a switchover to the HYCOM version only in 2010. R. Gates also supplied this nice map (http://www.oc.nps.edu/~pips3/pips.gif) showing the bathymetry (water depth) data inputted to 3.0. It may be found at the 3.0 site page “Model Domain and Bathymetry” (click on small image at top). http://www.nrl.navy.mil/content_images/09_Ocean_Posey.pdf is mentioned above, which is a short article from a journal (doesn’t look like a paper) from 2009. It says: “PIPS 2.0 has been producing operational Arctic forecasts for the Navy since 1996.” It also says “PIPS 3.0 is now producing daily 48-hour forecasts at the Naval Oceanographic Office (NAVOCEANO) and will have competed its validation tests by mid-2009.” So 2.0 is the current system, 3.0 is in validation testing. Note the article uses 2.0 images throughout, not 3.0. (And it’s a shame that on the last page in Acknowledgments the URL for an archive of 2.0 images is unusable.) Of special note is with that 3.0 mention, she says NCOM is used. In the previously-mentioned PowerPoint presentation, the G-NCOM version was projected to be deployed in 2006, with G-HYCOM deployed in 2009. So as of this 2009 document, the HYCOM version is nowhere to be seen and NCOM is being finished up. More recently, the Naval Research Laboratory (NRL) has performed sea ice hindcasts for the Arctic region derived from the latest coupled ice-ocean prediction system. The 1/12° Arctic Cap Nowcast/Forecast System (ACNFS) is based on the HYbrid Coordinate Ocean Model (HYCOM) coupled to the Los Alamos Community Ice CodE (CICE) and tested using the Navy Coupled Ocean Data Assimilation (NCODA). From the “Model Domain and Bathymetry” page it is noted 3.0 has a 1/12° horizontal resolution (and the vertical resolution link is bad). The Naval Research Laboratory (NRL) has compared sea ice hindcasts for the Arctic Ocean derived from a two-way coupled ice-ocean system to observations. The system is based on the HYbrid Coordinate Ocean Model (HYCOM) coupled via the Earth System Modeling Framework (ESMF) to the Los Alamos Community Ice CodE (CICE) which has the latest ice thermodynamics improvements including updated snow layers and the ability to forecast multi-categories of ice thickness. The data assimilation capability is based on the Navy Coupled Ocean Data Assimilation (NCODA) system. PIPS 3.0 was scheduled for deployment long ago, perhaps as early as 2004. Later on there were two versions that were planned to be deployed by now, G-NCOM in 2006 with G-HYCOM in 2009. By 2009 G-NCOM was finishing validation testing, G-HYCOM not mentioned. As of 2010, the planned PIPS 2.0 upgrade is to ACNFS, a HYCOM/CICE system, which sounds amazingly like 3.0 G-HYCOM. Standards change, hardware changes, better software becomes available. PIPS 3.0 does exist, somewhere. But as can be seen by its history of missed deployment dates, its development did not go as planned. Now ACNFS is coming, the newer and better replacement of PIPS 2.0. It appears, given this new info, that PIPS 3.0 may remain un-deployed, forever locked in a development and validation phase. 3.0 G-NCOM, the first version, didn’t show up, and G-HYCOM has now been supplanted by ACNFS. I have a good guess what “non-assimilative HYCOM/CICE system” was used for setting up ACNFS. Sure looks like if anything does get deployed as PIPS 3.0, it will really be the new ACNFS with the 3.0 label (because they already told everyone that was the new version) rather than what was 3.0 when they started the project way back then. American Meteorological Society (AMS) journal. Journal of Atmospheric and Oceanic Technology 2004; 21: 944-957. By the date (submitted & accepted 2003) it involves 2.0. Long winded, with equations, many graphs, might be interesting if you’re into that sort of thing. So R. Gates thanks for misleading, misrepresenting, or fantasizing at the least and lying at the most to all of us about the current state and usage of PIPS 3.0. I’m ready to accept your apology and admission of at least one of the above. September will not tell us everything, unfortunately. Oh, by the way, thanks for another looong winded comment. After decades of the Navy using PIPS, the only verification I really care about is what happens to the ice this summer. If the ice is thicker as PIPS shows, it will survive. If the ice is thin, it will melt away. So, as anyone can see PIOMAS is wrong. It’s simple. Nothing complicated. PIOMAS is a model. Cryosphere Today is data. Have a look at the plots I’ve posted on this and previous arctic threads. I think they will answer your questions. Um, yeah, it’s easy to tell land from sea ice when you zoom in a little. So I still say it all breaking up there along the entire N coast of Greenland. Apples and oranges isn’t it? Comparing volume from Piomas with extent (and lousy low-res images at that) from Cryosphere just doesn’t make sense. Aren’t you a professor Phil? Shouldn’t you already see PIOMAS is wrong? Nice job of selective quoting! The point was that the PIOMAS data has been calibrated however Steve’s calculation method has not been calibrated and he refuses to even discuss doing so. If one of my students came up with a calculation like this I’d ask the same questions, do you understand the metric you’re basing your calculation on, can you cross-check your results with a sample from the source to validate it. Steve failed to demonstrate either of those basic tenets so his numbers aren’t worth much. Or are you a different Phil and not the professor? Or, if you are that Phil, is your work as a professor connected to ‘global warming’ and that explains why you would not yourself show the clear flaw of the PIOMAS graph? I don’t appreciate the implication of dishonesty, what is this “clear flaw of the PIOMAS graph” you refer to? Quite, especially as the CT data shows the two days had basically the same area, 9.92 vs. 9.99 (about one day’s average loss). Why guesstimate area from the low res images when the numerical data is available? There is no thickness values in the Cryosphere Today maps you claim proves the volumes from PIOMAS are wrong. You are missing one critical dimension to eyeball, let alone calculate an ice volume. PIPS 3 has a higher resolution than PIPS 2. OK, but so what? This is not the same as proving that PIPS 2 has insufficient resolution to detect trends in Arctic ice. “The Hubble telescope has higher resolution than the Mount Palomar reflector. So Mt Palomar can tell us nothing about astronomy”. This is your flawed logic. What resolution, defined for instance in 10% MTF (modulation transfer frequency), is necessary to detect Arctic ice trends? On what basis? Note it is not necessarily required to visualise individual polar bears or Catlin explorers, in order to detect trends in ice thickness, extent or volume. The outcome of this year summer for the Arctic ice is captivating. So is the issue of the correctness of the computer models discussed here. Only that I would like to read a few words about what variables are biggest factors in the whole issue of possibility of the Arctic sea ice disappearance this year. I think I am not alone in my wishes. Perhaps it might have been a good subject for a next post? Wow, it is profound how PIOMAS cannot be questioned!! Where it shows no increase of ice since 2008 but rather continued loss of ice, i.e., the ‘death spiral’. And I can take it from your feeling of offense that you are that professor and you do believe that manmade global warming disasters are here now and worse are coming? I said in my first comment in this post that some commentors would go on and on about PIOMAS. But now I see that it is worse than I thought! It REALLY is as Arctic is the best region to launch U.S. nuclear strike against Russian Federation from USSN submarines. Arctic sea ice thickness is ONE of the most important aspect of nuclear deterrent strategy. I’m NOT saying the PIPS3.0 exists, I’m saying such possibility is extremely probable. A system for the government that is still in validation phase is not operational. You think this complexity and number of factors used is a strength? It is not, it is a weakness. It is linked to the issue of inductiveness or deductiveness in scientific method and particularly the important proposals on this by Carl Popper. The philosopher of science Carl Popper argued for science to be deductive, based on economic interpretation of measured facts, which can readily be experimentally falsified. Popper rejected “inductive” reasoning in which chains of assumptions are built up. However the age of cheap computing power has caused researchers to fall into the alluring trap of inductive “science”, in which assumptions and hypotheses are built up on eachother like a house of cards. I like to think of it in terms of the length of the paths that one draws between observation and conclusion. Short and economic (“parsimonious”) = deductive; long and convoluted involving multiple serial assumptions = inductive. Two teams of scientists, team inductive and team deductive, were given a task: design a speedometer for a car – a device for measuring and displaying the speed that a car is travelling. So team inductive got to work. This team included a fair number of physicists with computational and modelling skills. It became immediately clear to them that this was a task requiring the procesing of multiple factors all impacting on speed: what was the energy and force driving the car forward, what was the origin of this energy? Chemical and thermodynamic energy from the combustion of fuel needed to be carefully evaluated and modelled. What was the efficiency of this conversion from chemical to kinetic energy – how much was lost in the inefficiency of the motor? Several team members were assigned to modelling these processes. How much energy was lost as friction and heat through the gas exhaust? Simulation of the turbulent fluid flow and associated heat fluxes along the exhaust pipe was clearly called for. Then of course there were hours of immense fun to be had modelling and evaluating the fluid friction of the air passing over the car. This of course was modified by the dynamics of the air itself – what was the prevailing wind direction? Then of course there was the friction between the tyre and the road. An important input here was the curvature of path of the travelling car and associated sideways force and geometric distortion of the tyre, adding heat to the tyre affecting its friction, and whether or not this induced tyre to road shear and slippage, each in turn calling for further modelling inputs. Of course tyre dynamics were temperature-related so local climate was again a critical factor and another useful variable. So it became clear to team inductive that to have any hope whatsoever of measuring speed in a credible way, to give an output that would be accepted by internationally recogonised car speed scientists associated with the high profile journals and societies, that a large number of data inputs were needed: chemical measurement probes in the fuel tank to asses the fuel chemical potential energy; probes within the ignition chamber to assess on a millisecond basis pressures and temperatures to illucidate combustion energy. Then multiple sensors were required in the exhaust pipe to provide input for fluid flow modelling of the exhaust gasses. Sensors were also required at many locations on the car’s surface to assess airflow and boundary layer turbulence, as the exact location of the laminar-turbulent transition was a key factor in getting the drag models to work reliably. Sensors were needed within the tyres also. Other factors and associated sensor inputs were also identified and subject to in-depth research and computer simulation. Thus at the end of the day it was deemed impossible to prove that the “speed” of the car that one measured was correct or not, or that the car was in fact moving at all, or whether it was even in contact with the road, and indeed what it was exactly that one meant by the concept of a “road”. The best one could hope for was an accumulation of evidence on the subject. Then team deductive got to work. They measured the circumferance of the wheels. And set up a sensor to measure the rate of rotation of the wheels. From this they got a speedometer. Of course it can be questioned but idiotically equating volume with extent (or area) is not the way to do it! What you wrote certainly did. One could even said – seeing is believing – but not so fast, I must admit. Keeping in mind how “common sense” and “what we see” can be misleading. Especially from the times when quantum physics was discovered. Anyway, the whole thread is interesting. I ask only one question, coming from my curiosity not acridity – how ice volume is validated on constant basis? Satellite SST can be validated by buoys/drifters. How it is being done as far as __ice volume__ is concerned? Buoys, radar surveys, drills? Which type of REPEATED yearly measurements can validate ice volume models? Ice extent is easy to detect but what about volume (adventure into 3D)? You view climate in the most negative of ways. It follows that you would view that comment likewise. I dare say with the US navy, the sea wolf or LA class submersible sonar platform would be an accurate, available method… But they dont like sharing where they are! I think the toed radar arrays are quite accurate also(behind low flying aircraft) But thats more to do with civilian efforts. Lasers have issues with snow cover. Being the navy, id put my money on subs. This, is not what I did. That is your view of it. And no, from looking at the ill comments of some here, it cannot be questioned. In a bad mood today Phil? In a bad mood every day? This is likely my last comment in this thread. Things are going nowhere fast . What I thought was going to happen did happen, only worse than I thought. This is I assume your answer to my question: Why do you think that ‘PIOMAS is wrong’? Their findings seem fairly consistent with the Canadian Ice Service Winter report which leads one to expect reduced ice thickness.? So your “clear flaw of the PIOMAS graph” is that it predicts a reduction in volume since 2008 consistent with other data? Since this has nothing to do with what was being discussed you certainly can not do so! Your question was “is your work as a professor connected to ‘global warming’ and that explains why you would not yourself show the clear flaw of the PIOMAS graph?” Which has nothing to do with why I do not “show the clearimaginary flaw of the PIOMAS graph”. That’s the Steve Goddard approach, ignore contrary evidence and hope it goes away, as he did here concerning PIPS. This presentation shows comparisons between PIPS3.0, PIPS2.0 and SSM/I sea ice concentrations and shows how poorly the PIPS2.0 model does. It also discusses the improved inputs used in the PIPS3.0 model. A paper by Michael Van Woert (from NOAA/NESDIS) and co-authored by Walt Meier who works at NSIDC and who previously worked at NIC also discusses accuracy issues of PIPS2.0 (http://journals.ametsoc.org/doi/full/10.1175/1520-0426%282004%29021%3C0944%3AFVOTPI%3E2.0.CO%3B2). Even Posey discusses in April that more recently the Naval Research Laboratory (NRL) has been using an advanced version of a prediction model relying on HYCOM and CICE as R. Gates has mentioned. I also found a PIPS4.0 in a presentation by Eric Chassignet (http://www.google.com/url?sa=t&source=web&cd=6&ved=0CDEQFjAF&url=http%3A%2F%2Fwww.clivar.org%2Forganization%2Fwgomd%2Fwgomd5%2Fgfdl04%2FChassignet.ppt&ei=H8UVTKewDJDMMqvZ1acL&usg=AFQjCNGb7FTyrFjswy9O3Tzzov7Xnz_gUg). I think it’s becoming clearer that PIPS2.0 is outdated. But again, I think a real comparison between ICESat data from R. Kwok and the PIPS2.0 data that Steve is using would be worthwhile. Steve, I do believe this is something you should do (i.e. validate your approach), even if it’s just showing two images side-by-side. I posted earlier the comparison you wish to see. The obvious conclusion is that both models and the IceSat data show a large November volume loss up to 2007, with both models suggesting no subsequent recovery. From SEARCH, Study of Environmental Arctic Change, Sea Ice Outlook. Predictions of the September Arctic sea ice minimum extent from many experts are assembled for these Outlooks, with Zhang (PIOMAS) contributing for 2008 and 2009, which are the completed years posted on the site. Monthly predictions are made, the reports of them are available. How Well Did the Outlook Based on May and July Data Compare to September Observations? The May Outlook responses had a median value of 4.2 million square kilometers, with a median of 4.9 million square kilometers for the July Outlook (Fig. 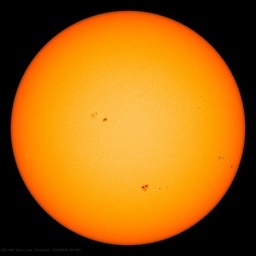 5); these compare to a 2008 September observed value of 4.7 million square kilometers. Both Outlook estimates are well below the 1979-2000 mean and below the linear trend line. Full Contributions can be accessed at the bottom of this report. Note: The use of the term “ensemble” was mentioned here: “Two groups (Kauker, et al., and Zhang) ran sea ice models with an ensemble (many years) of summer weather conditions from previous years.” They run through the models the weather of past years with recent ice conditions as a starting point, then “average” the results together for the ensemble prediction. The September 2008 sea ice extent was predicted to be 4.5/4.6/5.1 million square km in May/June/July, based on the ensemble median of the 7 ensemble members. The NSIDC reported that the minimum summer 2008 ice extent is 4.52 million square km. The 2008 Outlook summary report figure of 4.7 million km^2 appears to be the September mean while Zhang’s figure of 4.52 according to NSIDC appears to be the lowest extent in September. The September 2008 arctic sea ice extent is predicted to be 5.1 million square kilometers, significantly higher than September 2007 at 4.3 million square kilometers (see the figure below). Zhang: With the starting date of prediction being July 1st, the area of the predicted ice extent is smaller than that of the observed but the shape of the predicted ice extent is close to that of the observed. Thus the prediction is perhaps within the error tolerance in many areas, but not in other areas. The model has the tendency to under-predict September ice extent because the SAT over a large area in the Arctic Ocean is higher than the recent (2002–2008) climate during January through June. This may explain why many of the participating groups also underestimate the September ice extent when the ice conditions during January through June were heavily taken into account. When the ice conditions in spring are used as an indicator of what may happen several months later in September, there is a need to significantly raise the error bar considering the significant variability of weather and climate. (…) The ensemble median is considered to have a 50% probability of occurrence and the ensemble median ice extent for September 2009 is 4.5 million square kilometers when the prediction starts on 7/1 and 5.3 million square kilometers when the prediction starts on 9/1. Important note: 2009 wrap-up mentions, of the monthly predictions, those based on May and June data, which corresponds to the predictions issued in June and July. Zhang mentions July and September. From the 2009 wrap-up comes these graphs showing individual predictions. Zhang predicted 4.2 million km^2 in June, 4.5 in July. The 2009 Minimum Announcement gives a 5.1 million km^2 minimum daily extent on September 12. Also: In his 2008 Outlook summary, Zhang predicted “So we would probably have another summer ice low next year, if not setting a new record.” However just before he was discussing ice volume so it is unclear which low was predicted, extent, volume, or both. In 2008 Zhang (PIOMAS) started out with a prediction near the final total, but as new data during the summer was used for the ensemble the predictions shifted far higher, then late season weather caused a much lower minimum than forecast in July and August. In 2009 Zhang (PIOMAS) started out with an even lower prediction than the 2008 minimum, stayed that low throughout the summer. Then at the beginning of September with less than two weeks until the daily minimum extent of the year and a greatly reduced melt rate, a dramatic revision upwards brought the prediction very close to the final figure. Thus for these two years, the ability of Zhang (PIOMAS) to accurately predict the September minimum extent is rather low. In 2008 the prediction overshot due to unforeseen late season weather. For 2009, Zhang criticized his own model in his individual summary, citing a tendency to under-predict under certain conditions. From the July 2009 predictions, the best prediction was the highest, from Morison and Untersteiner at 5.2 million km^2, “Heuristic.” Of those simply identified as “Model” the best was Nguyen et al at 5.0 million km^2. Morison and Untersteiner did not contribute to the June and August reports, September did not have individual predictions. For those three months, out of all the predictions, theirs was the highest and eventually the closest. Our estimate is based on the same improvement from 2008 to 2009 as occurred going from 2007 to 2008 plus 200,000 square kilometers based on gut feeling. Note: we purposely didn’t look at last month’s estimates to avoid biasing our estimate. Note that extra 0.2 million km^2 made their prediction the best one. For 2009, gut feeling beat modeling. Gut feeling beat PIOMAS. You should learn how to get the original links, rather that copy-and-paste the Google search links. 2007 presentation, long winded, with a relatively brief mention of how great and better the future PIPS 3.0 will be. Heard the same before. Slide 35 proclaims the operational transition and validation is underway, at least the validation part was likely true. Slide 37 shows three maps from September 2003, 2.0 without SSMI assimilation, 3.0 without SSMI assimilation, and the SSMI observations. From this it is concluded that 3.0 without SSMI assimilation more closely matches SSMI. Thus this is a false comparison when used to show any deficiencies with 2.0, as according to the PIPS 2.0 site they are using SSMI data. Paper published in 2004 I already mentioned before. Another old powerpoint presentation. File Properties (contained within ppt file) says it’s from 2004. Slide 5 on future systems lists PIPS 3.0 as CICE coupled to NCOM, 4.0 having CICE coupled to HYCOM. Per a previously mentioned 2005 presentation PIPS 3.0 was to have come in two versions, the first being CICE coupled to NCOM (3.0 G-NCOM), the second CICE coupled to HYCOM (3.0 G-HYCOM). All you’re showing there is a name change. I think it’s becoming clearer that PIPS2.0 is outdated. I think it is clear it is dated, but the Navy has had one heck of a time trying to get anything better finished up and deployed. Thus it is still the best that the Navy has deployed and the best that it uses. I came out and asked. I made no ‘implication’. Tom, thanks for doing the comparison, that is very useful and important information. Kadaka, what you don’t seem to give any credit to is the fact that all those authors of publications/presentations regarding accuracy of PIPS2.0 and improved accuracy of PIPS3.0 over PIPS2.0 are those people who actually work at NIC still today, or have worked at NIC in the past. They, not us, know exactly what is going on with the Navy forecasting model. The fact that they show in their papers and presentations that there is a better model that PIPS2.0 out there, makes me believe they too are using a better model. What you are not giving any credit to is the fact that PIPS 2.0 is in production and its data is publicly available. No one is arguing that 2.0 is better or as good as 3.0, but PIPS 3.0 is still being validated so the only one available is 2.0. Get it? Judging by what Posey has written it seems fairly obvious that PIPS3.0 is being used for research use but not yet for the daily forecasts. Speaking of the North, look at how it’s 84F in Churchill right now, a new record. 1) PIPS 3.0 exists and is being used daily by the NAVOCEANO as Ms. Posey said, but it still may be in “validation” mode. operational but “secret” or something in between. 3) The Navy may be also using PIPS 2.0 (but a version that is a higher res and scaled up from what it has released on the public site). 4) The reason for the delay in the offiical release of PIPS 3.0 could be any number and combinations of factors including: the failure of IceSat which was critical in validation, the unplanned delay in release due to accuracy issues, the planned delay in release due to the Bush Presidential directive related to the Arctic and national security (see my previous posts related to this), the delay in getting a down-scaled version of PIPS 3.0 that the public and non-military researchers could use, or any number of other simlar reasons. 5) The Navy would not release it’s best navigational tool of for the Arctic on a public web site…thus, PIPS 2.0 is hardly what the Navy would use for serious daily operations in the Arctic. Thus, whatever they are really using, whether it be PIPS 3.0, or a vastly scaled up version of PIPS 2.0, it is not the data that they give to the publc. Thank for the link to the pips2 color key Steve, some other commenter supplied it also. Just getting acclimated to NIC’s site, never had tread there. I have a couple of questions you might already know without me wasting tons of time. One thing I’m curious is the Hudson Bay area and tributaries. There is marked differences there to some of the last years, but hey, that is understandable, eastern Canada has a rather warm winter (as they transported the cold to us! :)). How much of this difference in concentration and volume is solely Hudson Bay and tributaries related up to this date, seems sizeable in concentration area anyway, do you already know?. The main body of the arctic doesn’t seem to show that much marked drop visually. Some of this might just be due to the projection distortions magnifying the southern regions. Also, NIC projections seem to come primarily from satellite-only readings, QUICKSAT, OLS, DMSP, ENVISAT, RADARSAT, AVHRR; are there any systematic on-site physical measurements included at all in these projected maps that you know of? I.e., is this primarily a satellite-driven model that creates these projections at NIC? May have been answered before in posts/comments, if so, just say look backwards! (Couldn’t read it without first saving it to disk and then pulling it up in PowerPoint so I could zoom). What caught my eye is the 1999 submarine ice thickness tests within. This paper has data plots of PIOMAS always being too high in ice thickness readings in 1999. Now, some commenters here swear it is so accurate now, 2010, hmmm…, they must have markedly lowered the thickness that PIOMAS is estimating in the years since 1999. What? That is the exact opposite we see in the temperature fiasco. Now plot a regression in PIOMAS and say the world is melting… melting…, well maybe not, but I did find that curious. 3-5 are pure speculation and unverifiable one way or another. Second: Pips 2.0 is still used because the Icebreakers want a DAILY forecast. More Accurate thickness — but late — means nothing to a ship that sank last week. 3. Note Amino Acid’s Cryosphere links: their sidebar indicates colors correspond to CONCENTRATION – – which is why Cryosphere is so alike to Pips 2.0. Pips has … 5 meter superthick Siberian Ice tripling & more ! The New Ice Age is coming ! 5. Zhang’s forecast is NOT PIOMAS’s. It just USES it. What we are arguing about is whether Piomas (and/or Pips) Is Accurate, when MEASURED DATA is plugged in. I.e, not for Forescasts, but in the NOW. … Actually a shock they are so alike, even to the identical underestimate of the 2007 Melt. Now 2009 was when Piomas had ICEBRIDGE airplane laser Data that Directly measured thickness so I think I CAN trust it. And Tom’s chart has Pips backing that up ! (as of May 1, 2010: Piomas is back to the lower pre- June 2008 accuracy, when Piomas used concentration as an analog for thickness, just like Pips, except near shore where it had DATA — which probably explains the congruence with Pips for 2005-09, including their Mutual underestimate of 2007’s melt).